Club Penguin Cheats by Mimo777 Club Penguin Cheats by Mimo777: Club Penguin Music News! 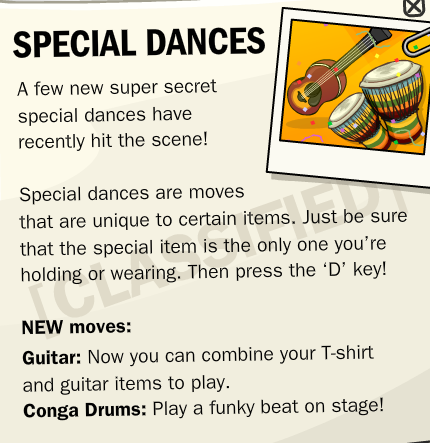 There will be new musical instruments on July 15th which will make even more special dances. Saweet! Be sure to check back here later for all the Music Jam cheats! Cool! I've always wanted to be able to wear clothes and play instruments! Is it a specific shirt, or any? 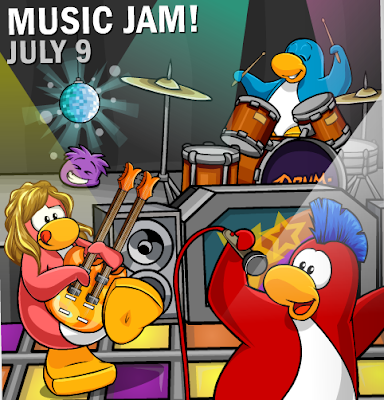 The Music Jam is suppose to start tomorrow but, Club Penguin is known to launch things early sometimes. We will have to wait and see! Its not a specific shirt, it's just you can only wear a t-shirt when you play a guitar. The conga drums will probably sound cool at the stage. It's cool we get to wear a shirt while playing the guitar! 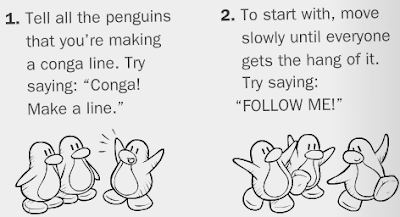 Im also going to form a conga line! Usually it would start later today, but it could also start tomorrow if cp doesnt have time to put it up. I think it will be any shirt. A specific shirt would be cool too! I'm soo sorry to hear that! 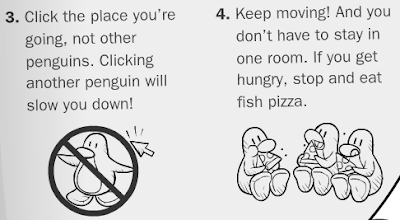 but it can come very late like rockhopper did last time. i would like to see it come early =] and about the thing that i can pit a shirt and play on guitar it is a specific shirt ? or any? I have, too! I hope it's any shirt, that would rock and roll! Happy birthday! It's my dad's birthday, too! Sparkle has always been there, sorry! But great find, and keep trying to find things! Easy to meet him online, watch his twitter, he updates sometimes about how he goes on some sites! CP has been realising things early lately! Yeah! It looks kind of weird not wearing anything! The shirt thing doesn't work! Oh, well where ever your going have fun. 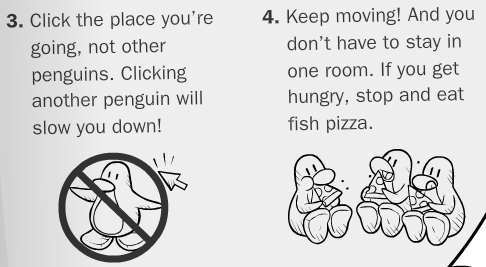 When you get back you can look forward for a Club Penguin party! I dunno but i've always wanted the same thing. I hope it's any shirt. That way I can rock out with my favorite Blue Hoodie! Yea! I might try forming a conga line too! And I can't wait to try the new shirt combining with da guitar tingy. Sweet! Your present is a Music Jam Party! Maybe the Music Band will even play a song for you! Try meeting them and tell them it's your Birthday! ------------------------------------------it dose not work becase its only at the Music Jam Party! It should come early. Club Penguin has been releasing things a day early. And we don't know about the shirt yet. We're hoping any shirt. We'll have to find out! Yet. It will probably work when the Music Jam starts today. Cool, that means it's updating. Ready or not, party comes. Is it just me, or in the first picture, is that an Orange Double-Neck? I think we are all ready!! i found out a glitch with the guitars and shirts in the news paper if you wear a shirt you bought from one of the stands in music jam wear it and a guitar then dance and it starts to glitch and wave around! Mine is in two days! Hey Mimo I am sorry but I wont be modding for a while or at least not as much. First off my summer is EXTREMELY busy and I will be able to post more once school starts again and I'm not doing something every second of every day, and secondly we have a foreign exchange student coming in from France for about three weeks. Ill mod as much as possible.